Iconic, functional and highly fashionable. 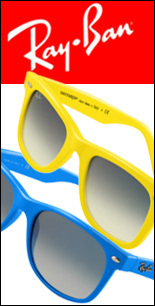 Wayfarers are now available in great hot colors! Email us for any questions you may have regarding your prescription eyewear. Let your eyewear be your newest accessory. At Gopen Optical we have the selection and the styles that fit your lifestyle. Casually browse our designer collections that include the latest frames, that put you fashion first when it comes to prescription eyewear. Among our famous name eyewear we are pleased to offer Francois Pinton the premier collection from France once again. 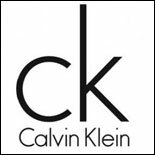 Other designer fashion frames include Gucci, Vogue, Exces, Calvin Klein and the popular SILHOUETTE Collection. We take the time to make sure that your face is properly sized in proportion to the frame. Not all frames fit all faces. Women with smaller faces are usually reduced to shopping at the children’s rack. At Gopen Optical we specialize in designer frames for the petite face. We take the time to show you the correct frames that will flatter your face. From Jackie O to you. These stylish frames bring out the celebrity in all women. Wearing Francois Pinton is to show elegance and love of the beautiful things, GOPEN OPTICAL is pleased to offer Francois Pinton's premier collection from France. Whether you’re a sporting man or just love to watch sports. 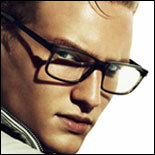 This season Gopen Optical offers two great collections for men. Combining the latest innovative technology with unmatched style and performance, Greg Norman Eyewear is the first eyeglass collection worthy of its namesake. When out on the links or just out on the town this look will make you look and feel like a winner. "Yo And Check It, You Da Bomb"
That's Randy Jackson's line and he means it, when you're wearing a pair of his great eyewear line, exclusively at Gopen Optical. The Randy Jackson collection of eyeglasses and frames are offered in fully rimmed and semi-rimless variations of rectangular frames. Each Randy Jackson 3000 Eyeglasses frame is branded with a subtle logo and many glasses in the collection accommodate progressive lenses. New this year the Daddy-O Sunglasses. A distinctive style for men featuring oval shaped crystal lenses and a curved frame that wraps around the face. 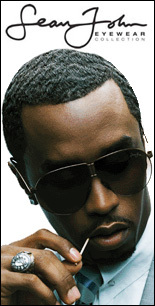 Daddy-O sunglasses offer the best sun and vision protection and easily accommodates prescription lenses. Also available with a polarized lens option. Legre offers an abundance of styles and colors for women, teenagers, as well as a great variety of men's styles. Available collection includes plastic and metal frames.